Angela has over twenty years experience as a paralegal and many of those years have been working alongside Ruth. We are delighted to have her back! She is in our office two days a week and is available every day for problem solving. Angela has years of work in Personal Injury, both working with injured clients and working in the insurance industry. She is uniquely situated to provide support and perspective on your auto accident case. Ms. Vogel has been practicing law for over 30 years. 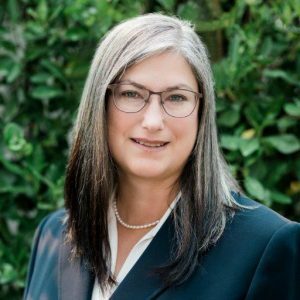 She is the owner and senior attorney at Ivy Law Group working with clients in all aspects of probate, estate planning, elder law and personal injury. Prior to her legal career, Ruth worked in non-profit social service agencies. Ruth volunteers at the Ballard Senior Center and provides a free legal clinic there. Estate Planning: In these evolving times of medical science and legal rights Ruth maintains a current knowledge of the law for our clients who need health care directives, wills and other estate planning documents. Ruth has given presentations on estate planning and is passionate about the need for preparedness. Probate: Fortunately, Washington State has a relatively straightforward probate process. Ruth has advised clients in their role as executor/personal representative both in cases with a Last Will and Testament and those without a valid will. 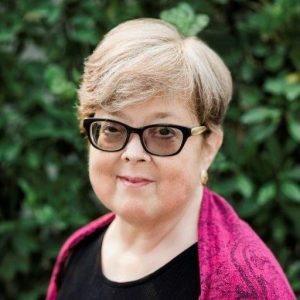 When you are coping with the loss of a member of your family or a friend Ruth is accessible to help you deal with both the loss and the inevitable bureaucracy. Guardianship: Sometimes the only solution to caring for a dependent is the creation of a guardianship. These can be established for a parent, disabled adult child or other dependent person. The process to create a guardianship requires petitioning the court and creating the least restrictive and appropriate level of care. We can help with the challenges you will face. Personal Injury: Combining a thorough background in vehicle and traffic laws with negotiation and litigation experience, Ruth assists clients who have been injured in motor vehicle collisions. Her priority is to encourage you to acheive full medical recovery and fair financial compensation. Sara Longley practices law in Ballard and serves clients in Seattle and surrounding areas. She focuses on estate planning, tax advising, trusts, business succession planning, and probate. Sara graduated with honors from the Seattle University School of Law in 2006. She obtained her LL.M in Taxation from the University of Washington School of Law in 2013. Sara is an active member of the King County Bar Association and a past co-Chair (2016-17) of the KCBA Solo and Small Practice Section. Sara is a longtime Seattle resident and has lived in Ballard since 1995. 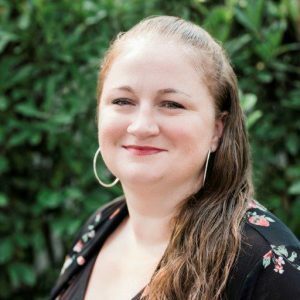 Prior to attending law school, Sara was Managing Editor for the Seattle Press, a neighborhood newspaper based in Fremont and published throughout North and Central Seattle. When she is not in the office, Sara can often be found racing sailboats or designing her latest knitting project. All matters relating to your case are confidential. We will not share your information with anyone outside our office without your consent. We work hard to be as efficient and effective as possible. We prepare invoices about the 1st of each month. The invoice is mailed to you. It shows the amount of time we have each spent on your case that month. A more itemized invoice is always available upon request. After invoicing we transfer money from your trust account (in which your retainer was deposited) and “pay” your invoice. You are then sent a statement which will show the amount you have remaining in your trust account. It is our goal to provide as much information to you as needed to keep you apprised of your account with us. Our office is normally open from 9:00 am to 4:00 pm, Monday through Thursday. Additionally, we will meet with existing clients on Saturdays. We also have a mailbox where you may drop documents after hours. Please feel free to call us whenever you have a question or need advice. If it is during business hours and we are unavailable when you call, please make sure to leave a detailed message when you call and we will return your call promptly. After office hours, we have an answering service that answers our phone 24 hours a day, seven days a week. The answering service will take your detailed message and page it through to our cell phones. During your case, we will create and receive numerous documents. It is our practice to send you all the original documents, letters, correspondence and pleadings that we receive or produce, file and/or send out. We will keep scans of all documents in a legal matter for seven years. After five years, we shred all documents containing personal information protecting you and your privacy.